In 2015, The Guards Magazine celebrated its 153 years as the official journal of the Household Division, encompassing The Life Guards, The Blues and Royals, Grenadier Guards, Coldstream Guards, Scots Guards, Irish Guards and Welsh Guards. The Guards Magazine content is exclusively created by serving or former regimental members of the Household Division and is published three times a year. It is also available by subscription to the general public. 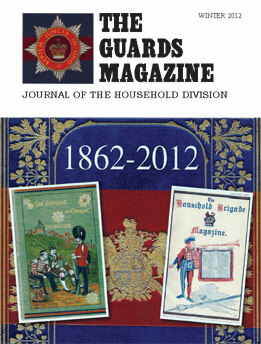 The Guards Magazine is 120 pages of regimental news, images, obituaries, reviews, competitions, calendar and more.